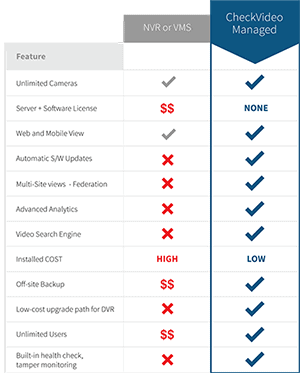 CheckVideo’s program enables dealers and integrators to quickly build RMR with managed video services. CheckVideo turns any video into an alarm system enabling you to protect outdoor perimeters and eliminate false alarms. Its unique combination of video analytics along with the award-winning CloudVMS™ provides the most cost-effective and complete video solution available. Benefits include specialized direct marketing materials and lead generation programs. We value the relationships we have with our dealers and integrators. Please fill out the form below and a CheckVideo representative will contact you shortly. We look forward to working with you.